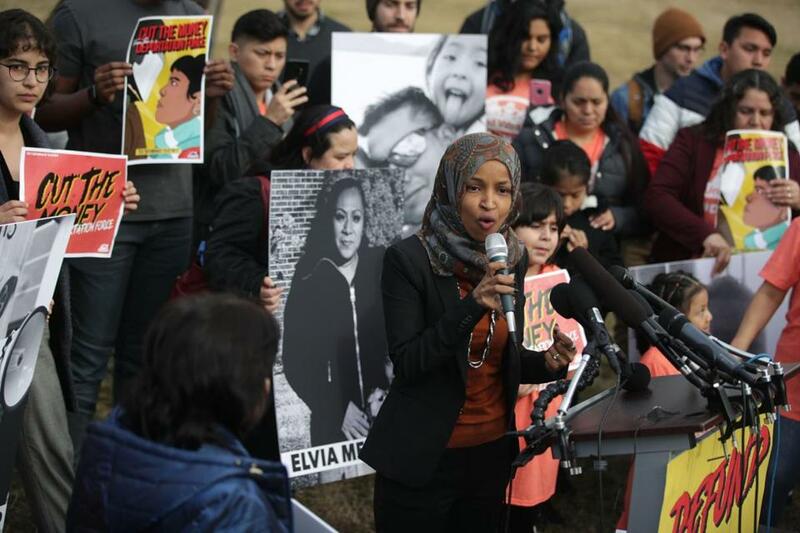 WASHINGTON (AP) — Representative Ilhan Omar is apologizing for her weekend tweets saying that members of Congress are being paid by a powerful interest group to support Israel. Omar’s statement came after House Speaker Nancy Pelosi on Monday insisted that the freshman lawmaker immediately apologize for her tweets, which she called anti-Semitic. Representative Katherine Clark of Melrose, vice chair of the House Democratic Caucus, was among those who issued the statement. The leaders’ statement came in the hours after a pair of powerful House chairman rebuked Omar for the remarks. Foreign Affairs Committee Chairman Eliot Engel said he would not tolerate them and found it ‘‘shocking to hear a Member of Congress invoke the anti-Semitic trope of ‘Jewish money. '’’ He said he will emphasize to members of the panel of both parties that the American-Israeli relationship is important.